BEIJING (Reuters) - China will be "flexible" in U.N. talks for a new global climate change deal, but the key to progress is getting rich nations to keep pledges to fund mitigation steps by poorer countries, the country's top climate change official said on Tuesday. Representatives of more than 190 nations gather in the Polish capital of Warsaw from Nov 11 to 22 to push towards a new global deal to cut climate-warming greenhouse gases that is set to take effect by 2020. Last month, the United States' chief climate change envoy, Todd Stern, urged a more flexible approach over a new pact to succeed the Kyoto Protocol, saying nations should be allowed to set individual timetables and commitments. China was just as willing to compromise, said the country's chief negotiator, Xie Zhenhua, who is also vice-director of top economic planning body the National Development and Reform Commission. "As long as it is fair, and accords with the principle of 'common but differentiated responsibilities', as long as it has the agreement of all parties, and as long as it is in line with agreements already reached, we have a very flexible approach," Xie told reporters, adding that he had seen Stern's remarks. 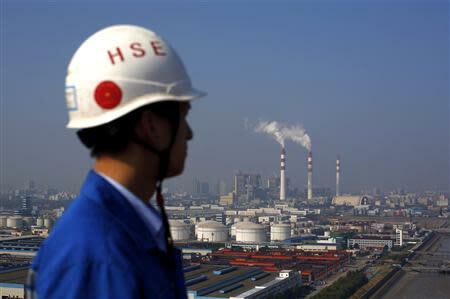 China is the world's biggest emitter of greenhouse gases, blamed by scientists for causing dangerous climate change. The United States is next, followed by the European Union. Xie said funding was critical to solving the disputes, with richer countries still not having released funds promised in 2009 to help poorer nations adapt to climate change and to cut their own emissions. The measures included "fast-start" funds of $30 billion by 2015 and an annual fund of $100 billion to developing countries by 2020. Developing nations would only be obliged to meet climate change pledges once funding from richer nations was in place, the NDRC said in a document issued ahead of the news conference. Despite the delay by industrialised nations, some developing countries, including China, had taken action, Xie said. "Although the developed countries have not lived up to their commitments, developing countries have taken active measures to combat climate change, especially China," he said. Xie confirmed that three cities and provinces in China - Beijing, Guangdong and Shanghai - would launch emissions trading markets before the end of the year, adding to a carbon trading scheme introduced in Shenzhen in June. The central government aims to use emissions trading to reach a target of cutting emissions per unit of GDP to 40 percent to 45 percent below 2005 levels by 2020. The schemes will force electricity generators and manufacturers to cap emissions at levels set by the local government or buy permits from companies limiting their carbon output.